Treatment formulated to act during the hours of sleep, the most profitable time for cellular renewal. It improves the surface of skin's tissues and prevents them slackening, fights wrinkles, loss of tone and helps increase the synthesis of collagen and elastin. Juvenikina: innovative complex (based on biopeptidies, ceramide, ialuronic acid and sugars) activated and aimed to smooth the existing wrinkles, to reduce their depth and prevent new ones from forming re-enforcing the natural skin barrier and restoring the skin tone. It encourages the restructuring of the extracell matrix by reactivating the intracell communication mechanisms (test in vitro). Lipophyl Biopeptide: natural biopolymers made by a fragment of Collagen (3 aminoacids) and by a fragment of elastine (6 aminoacids) able to stimulate the synthesis of new support molecules which ridensify the matrix. 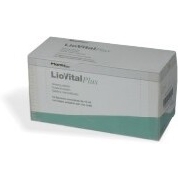 To these bio peptides it is linked a lypophyl chain to increase the skin affinity. Shea butter: butter extracted by the wooden kernel of Karatè, an African tree of high stalkare with an high content of unsaponifiables (12 - 18%), essential and fundamental substances for the improving of the skin tonicity and in particular for the maintenance of its natural elasticity. Specific action on the wrinkles on all the skin types, even if the most sensitive, dry or mature ones. 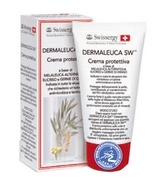 Rich and consistent, it is suggested as night cream when the skin's tissues are more receptive. Apply in the evening to the perfectly cleansed face and neck. 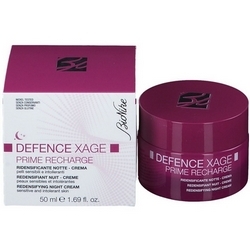 It is suggested to use the product in association with Defence XAge Night Repair Concentrate, for a boosted effect. Aqua (Water), Cyclpentasiloxane, C12-15 Alkyl Benzoate, Hydrogenated Polyisobutene, Butyrospermurr Parkii Butter (Shea Butter), Polysorbate 60, Octyldodecanol, Aluminum: Starch Octenylsuccinate, Sorbitan Stearate, Propylene Glycol, Dimethicone, Stearic Acid, Sodium Carbomer, Dimethicone/Vinyldimethicone Crosspolymer, Glyceril Plymethacrylate, Glyceryl Stearate, Sucrose Polybehenate, Capryoyl Glycine, Sarcosine (Methyl Glycine), Ethylhexyglycerin, Saccharide Isomerate, Sodium Hyaluronate, Palmitoyl Oligopeptide, Tribehenin, Ceramide 2,PEG-8, Hydroxypropyl Guar, C12-C14 Pareth-12, PEG-10 Rapeseed Sterol, Rosa Centifolia Flower Extract, Disodium EDTA.